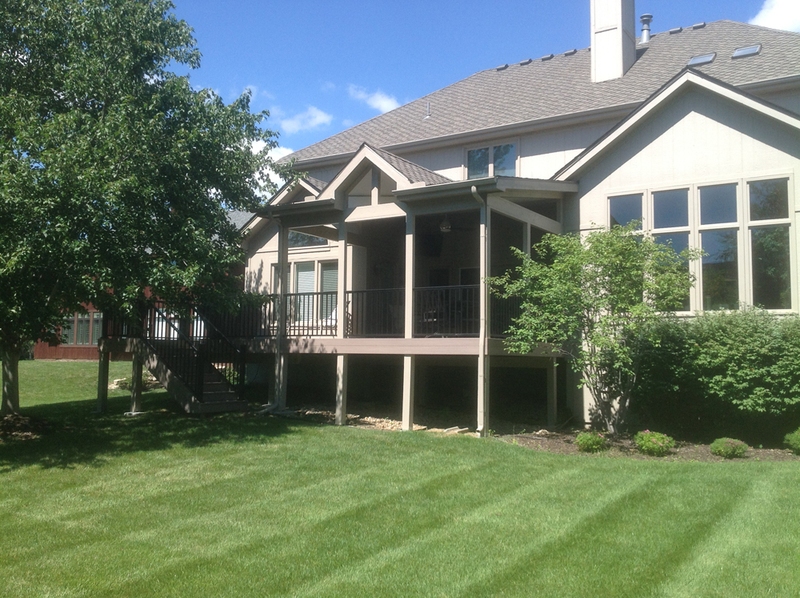 Why do we love a gable roof on our porches here in the Kansas City area? In an earlier post, we shared information about the top porch roof style options including gable, shed, flat and hip roof styles. We noted that the gable roof shape is one of the most often requested roof styles. A gable roof has a high point and descends down on two sides from that high point. Here are some reasons why this shape roof is so popular. It’s important to note that a gable, by its nature, is just a very pleasing shape. It creates the shape of a triangle atop the more linear room it crowns. If you ask any young child to draw a house, they will first draw a square to represent the house and then a triangle to represent the roof. This configuration is visually pleasing. What are some more concrete reasons people are enamored with gable roofs? There are two important reasons and they both have to do with light. This roof style creates a vaulted ceiling inside the room. It’s important to note that the vaulted area can be closed off by a flat ceiling but many homeowners are looking for a porch room that’s filled with natural lighting and prefer the vaulted ceiling. High ceilings allow more light to concentrate within the space of the room making it feel more open and airier – both of which are pleasant sensations. Finally, with a gable roof style, you may be able to have one or two open ends depending on the orientation of your room. 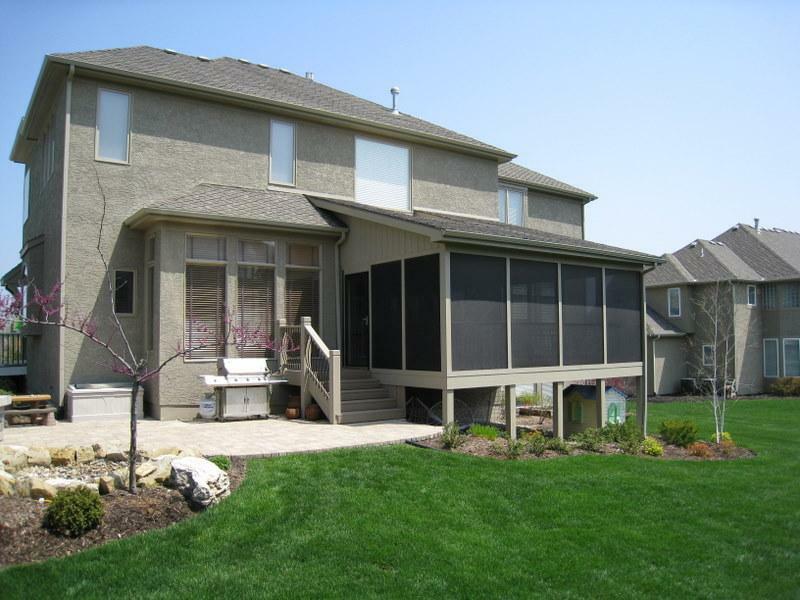 The open end can be enclosed with glass, screening or both. As noted in the previous blog, a gable roof style will not work for every home. This is particularly the case if you have a number of second story windows in close proximity to where your new porch will be. You will not want the roof from a new room to block your view from the second story. There are additional reasons a gable roof may not work. This is the case if it presents a challenge in designing a porch addition that looks original to your home. The roofline, or multiple rooflines, of your existing home may make a porch with this roof style look out of place, like a sore thumb. You may have multiple elevations with varying grades of shed roofs. Notice the image above that illustrates that scenario. If your heart is set on this roof style for your new porch and the constraints of your existing home will not accommodate making it fit with your house, we have a creative alternative. We can create a combination roof style that integrates a shallow gable into a shed roof. In the image above, the roof design is a fabulous complement to the existing home’s roof design. Nearby the porch are two gable-topped elevations. This roof motif both complements and adds visual interest. If you are considering adding a porch or room addition to your Kansas City area home, give us a call for a free consultation at (913) 851-3325, drop us an email or visit our website. 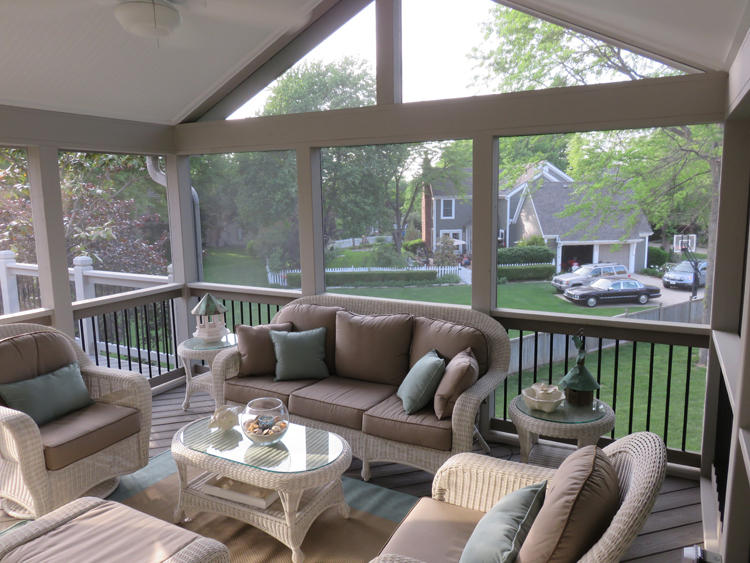 To see a number of porches with different roof styles, visit the screened porch photo gallery on our website. We look forward to your call!